Your licensing advocate will research your entire professional history from Undergraduate School to date and match your credentials with contacts in our comprehensive database of over 31,000 schools, training programs, and hospitals. This facilitates the verification of your credentials with the South Carolina Medical Board. We also research Medical License numbers, issue dates, and expiration dates. 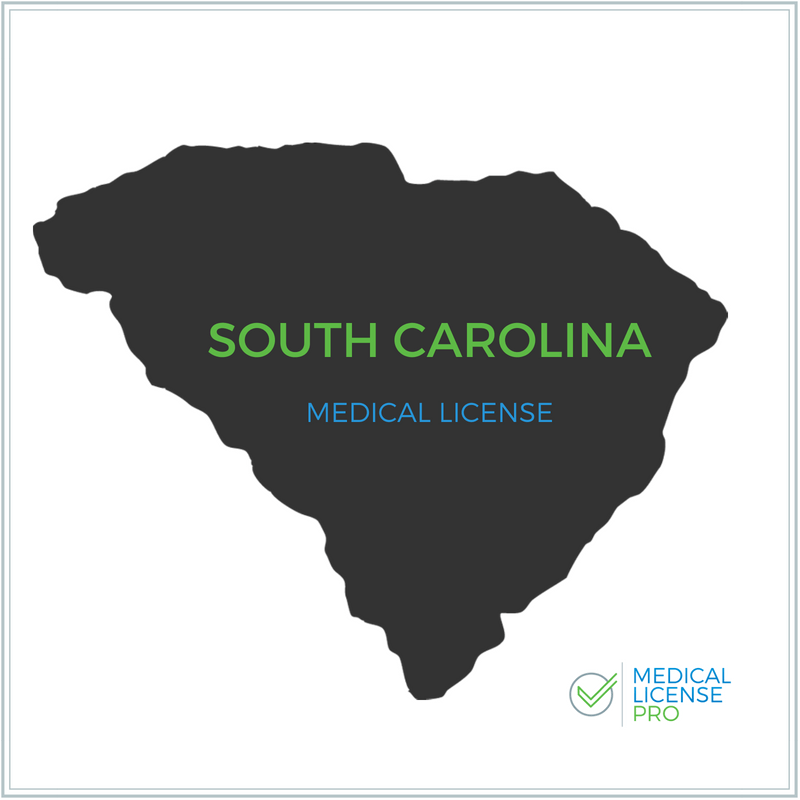 Your South Carolina medical license application, as well as all letters and forms necessary to request verification of your credentials for the South Carolina medical board, are professionally completed by your licensing advocate. The South Carolina Medical License process requires numerous primary source verifications. Your licensing advocate will request and collect all that is needed for your South Carolina Medical License. This could include undergraduate transcripts, medical school transcripts and verifications, professional reference letters, letter of good standing from other licensing boards, examination transcripts, postgraduate training evaluations, hospital staff evaluations, employment verification, AMA profile, NPDB query, federation query, malpractice claims history report/documents and any other verification required for your South Carolina Medical License. Your South Carolina Medical License application will be assigned to one licensing advocate in our office who will be your point of contact throughout the entire application process. In addition to receiving milestone updates from your licensing advocate, additional updates are always a simple phone call or email away. Questions About South Carolina Medical License Process Requirements? We Make Your South Carolina Medical License Process Incredibly Simple! Avoid Unnecessary Delays, Fees & Frustration with the Trusted South Carolina Medical Licensing Professionals! What does South Carolina charge for the application process? There is a $580 fee payable to the South Carolina Board of Medical Examiners, which is submitted with your application. The South Carolina Medical Board requires the use of the FCVS. If you have previously established a profile with the FCVS, average processing time for a South Carolina Medical License is between 12-14 weeks. If you have not previously established a profile with the FCVS, average processing time for a South Carolina Medical License is between 16-20 weeks. Other than passing an initial licensing exam, and ECFMG if applicable, there is no additional exam required for an South Carolina Medical License. Does South Carolina offer reciprocity? South Carolina does not offer medical license reciprocity. How do I contact the South Carolina Medical Board?